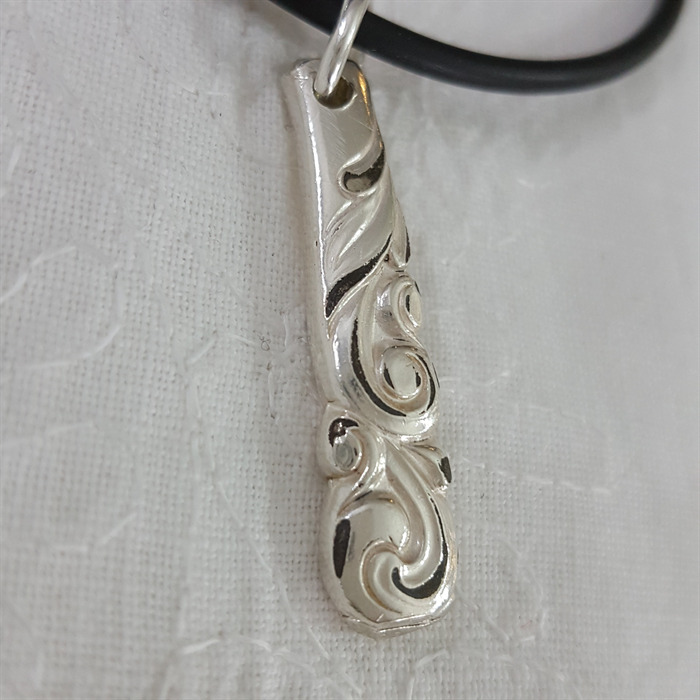 This small pretty pendant has been made from the end of a silver plated spoon handle and is a very uncommon design. It measures just 3cm in length and comes with a 45cm black neoprene necklace. Perfect for wearing on a daily basis.